Will the New Whole Foods in Oakland Affect Oakland's Real Estate Market? 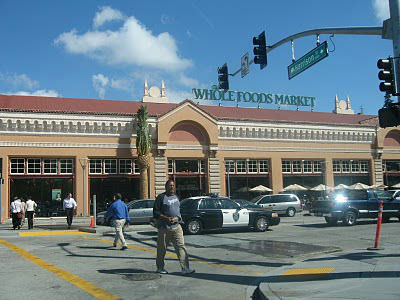 For the last two years I have been patiently waiting for Whole Foods Oakland...and drum roll please, it has arrived! Last Sunday morning I headed over for the grand tour. This is the best looking Whole Foods I've seen. It mimics a French marketplace with many specialty shops within the grocery store; cheese, meat, seafood, produce, chocolate, coffee and espresso, extensive beauty products, gelato, hot prepared foods and a Bistro. So the bottom line is this, Whole Foods Oakland will increase the value of residential property surrounding it. Now all of the homes below Piedmont Avenue and around Lake Merritt will have a full service grocery store within walking distance. Prior to Whole Foods Oakland, homeowners had to drive to the Grand Ave. Safeway,(a store that borders the City of Piedmont) or the Safeway on 51st Street in Oakland for the closest stores. One of the biggest draws of living by Lake Merritt is the its easy access to downtown, BART and transportation. Now homeowners can actually live car-free. My hope is that Whole Foods Oakland will be a huge economic success, enticing other big businesses to follow suit and set up shop here in Oakland. With all of the residential and condo growth, Oakland needs the retail presence to balance.